Porsche Wilson Security Carrera Cup Australia front-runners Jaxon Evans and Dylan O’Keeffe have completed the Porsche Motorsport Junior Programme Shootout in France and now wait to hear the ultimate outcome in the coming weeks. Evans and O’Keeffe, who finished first and third in the 2018 Carrera Cup Australia championship, respectively, joined nine other young racing talents from Porsche one-make series around the world, all dreaming to take the next step in their racing careers – into the Porsche Motorsport Junior Programme. In their bid for this, the talented youngsters took part in a three-day selection process in the southern French town of Le Castellet. In addition to setting consistently fast lap times, the candidates focused on working with the Porsche engineers. On the 3.862-kilometre Circuit Paul Ricard near the Côte d’Azur, the aspirants competed against each other in identical 485 hp Porsche 911 GT3 Cup racers. The winner, who will be announced in a few weeks, receives support as a Porsche Junior for their 2019 Porsche Mobil 1 Supercup campaign. Jaxon Evans, who won the 2018 Carrera Cup Australia title in Gold Coast last month, was the championship’s nominee for the Junior Programme Shootout event. “Overall, it was an amazing experience from the first day meeting the other drivers from different countries and all with different accents. Seeing it all roll out was unreal; from the transporters, engineers, mechanics and the amount of people on the ground to make it all work. It was like nothing I had ever experienced,” said Evans, who says he had the Shootout in his sights since he started racing in GT3 Cup Challenge in 2015. Meanwhile, Dylan O’Keeffe was a wildcard selection for the event, which he attended for the second time following his selection as Carrera Cup Australia’s Shootout nominee in 2017. “This year’s Shootout was amazing and it was everything I thought it would be from attending last year. Having been before, it was beneficial in the sense that I knew everyone and I knew what to expect, we were just at a different circuit,” said O’Keeffe. The new Porsche Junior receives 225,000 Euro towards next season’s Porsche Mobil 1 Supercup, which is run as a support series to Formula 1. In addition, Porsche Motorsport provides the successful applicant with a comprehensive training programme to become a professional racing driver. Aside from coaching on the racetrack, this support includes psychological training and media relations as well as an extensive fitness regime. Other Shootout attendees included Dutchman Larry ten Voorde (Porsche Mobil 1 Supercup, Porsche Carrera Cup Deutschland), German Philip Hamprecht (Porsche Carrera Cup Asia), Japanese driver Yoshiaki Katayama (Porsche Carrera Cup Japan), Brazilian Bruno Baptista (Porsche Carrera Cup Brazil), Turkish driver Ayhancan Güven (Porsche Carrera Cup France, Porsche GT3 Cup Challenge Benelux), Gianmarco Quaresmini (Porsche Carrera Cup Italia), American Trenton Estep (Porsche GT3 Cup Challenge USA), Swede Lukas Sundahl (Porsche Carrera Cup Scandinavia) and Brit Lewis Plato (Porsche Carrera Cup Great Britain). “We’ve seen from the Shootout that there are some very talented youngsters in our worldwide Porsche one-make cups. At Le Castellet we simulated a complete race weekend. Moreover, all drivers underwent medical examinations and had to prove themselves in interview situations in front of the camera. Now we’ll analyse all the data to see who has the greatest potential,” said Jennifer Biela-Moll, project manager of the Porsche Motorsport Junior Programme. Evans and O’Keeffe will look to become just the second ever Carrera Cup Australia representative to win the Shootout. 2016 Carrera Cup Australia champion Matt Campbell went on to win the 2016 Shootout event and secure a position as a Porsche Junior for the 2017 Porsche Mobil 1 Supercup, placing third in the standings. Campbell was then promoted to a Porsche Young Professional in 2018 and is racing in the 2018/19 FIA World Endurance Championship Super Season, where he currently leads the GTE-Am classification. Scouting initiatives for up-and-coming young racing drivers have a long tradition at Porsche. Many scholarship recipients have managed to climb the career ladder to become professional drivers in GT championships around the world. 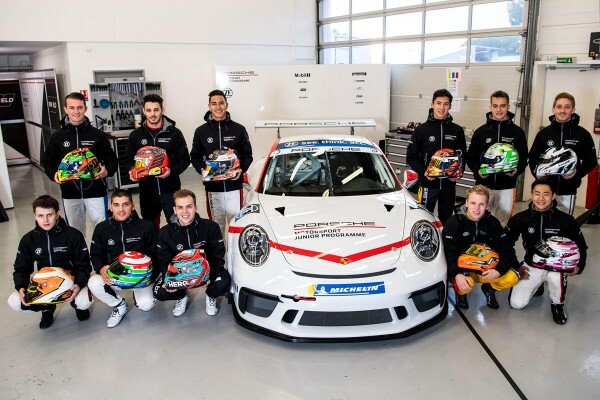 Out of the current squad of works drivers and Porsche Young Professionals, Earl Bamber (NZ), Timo Bernhard (D), Michael Christensen (DK), Patrick Long (USA), Sven Müller (D) as well as Campbell, Matteo Cairoli (I), Mathieu Jaminet (F) and Dennis Olsen (N) all received training in the Porsche Motorsport Junior Programme. 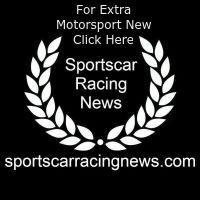 « Who will be the 2019 Porsche Junior?